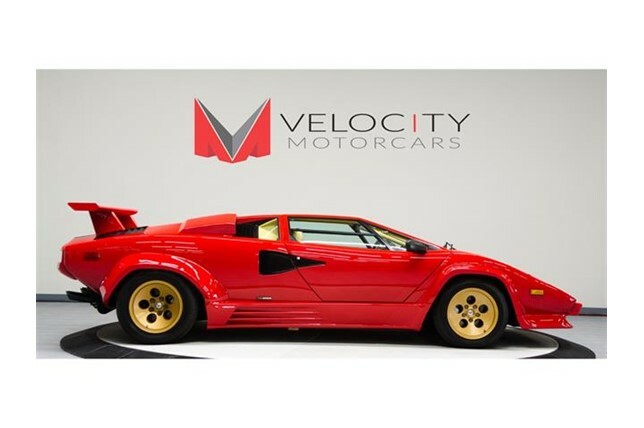 The market has been filled with devastatingly gorgeous Lamborghini Countaches of late, and this one certainly fits into that category. Though it may not be covered in 14K gold, it is a stunning red QuattroValvole example with low miles, and it's in near-perfect condition to boot. 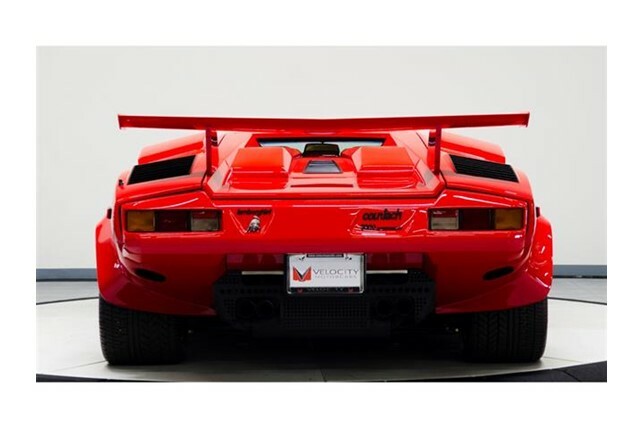 Fitted with all the wings, vents, and overhangs you could wish for, it's a desirable piece of art that stands atop the market of '80s era supercars. 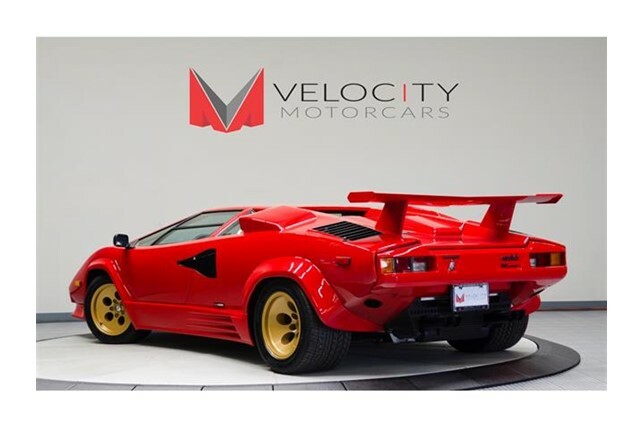 The dealer, Velocity Motorcars, markets the Countach as being available for "just $3,706 a month", putting things into perspective and making us wonder how much we really need a mortgage in the first place. So what makes a car worth twice the median housing price in the United States? Personality, panache, and prowess is the answer for this example. 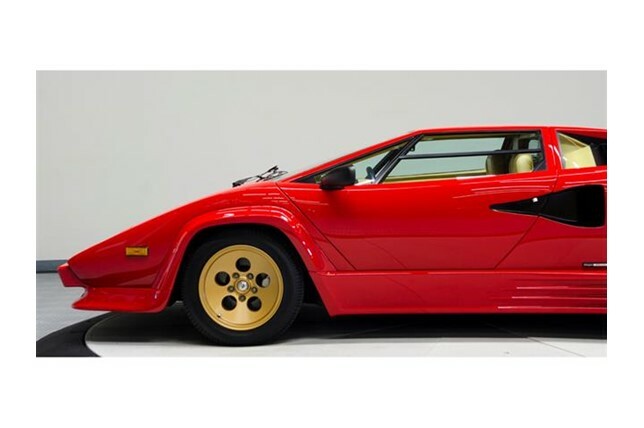 It has the backstory that every Countach brings with it -- rich in history, splendid in style and design. 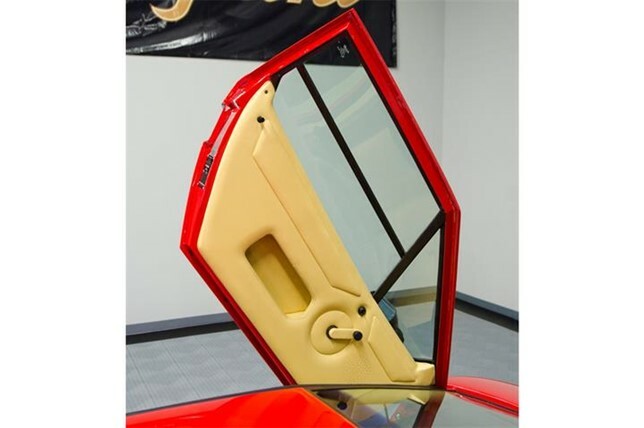 If you didn't know before now, the name "Countach" roughly translates to "Oh my!" in Italian, inserting a bit of onomatopoeia into every occasion. That, paralleled with its iconic wedge-shape profile, makes it more exaggerated than most other cars, even in 1980s Italy. The car here doesn't lack pantomime, mostly thanks to its purely aesthetic aero pieces and golden wheels. The red color adds to that statement, perhaps making a slash at that other Italian automaker which will remain unnamed. 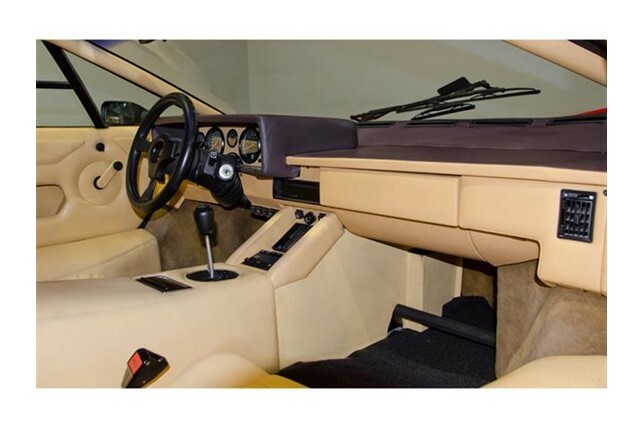 This Countach's cabin is period-correct as well, detailing its highlights in creme leather. Most notably about the car in this ad, though, is its road presence. Seeing a Countach parked is one thing, but catching a glimpse of one on the road is another. "Art in motion" is an utterly cliche term, but it's difficult to pinpoint another phrase that personifies the Countach so well. Notice that all of these come back to style -- the driving force behind Lamborghini's poster child. Without it, the Countach wouldn't be much. It wasn't extremely quick, and with its heavy weight and lackluster steering, it doesn't perform the same as modern Lambos, even for the period ... but that's fine by us. If you've got the means, why not jump on what defined the supercar segment during its most highly exalted stint?